Many Canadians associate Laura Secord with delicious chocolates. Few realize how strategic her life really was. So often Canada ignores its heroes and heroines. The concept of a hero comes from our Greek heritage, a key foundation of western and Canadian civilization. The Greek hero, according to the Concise Oxford Dictionary, is a person of superhuman qualities favoured by the gods; an illustrious warrior; one who has fought for his/her country. 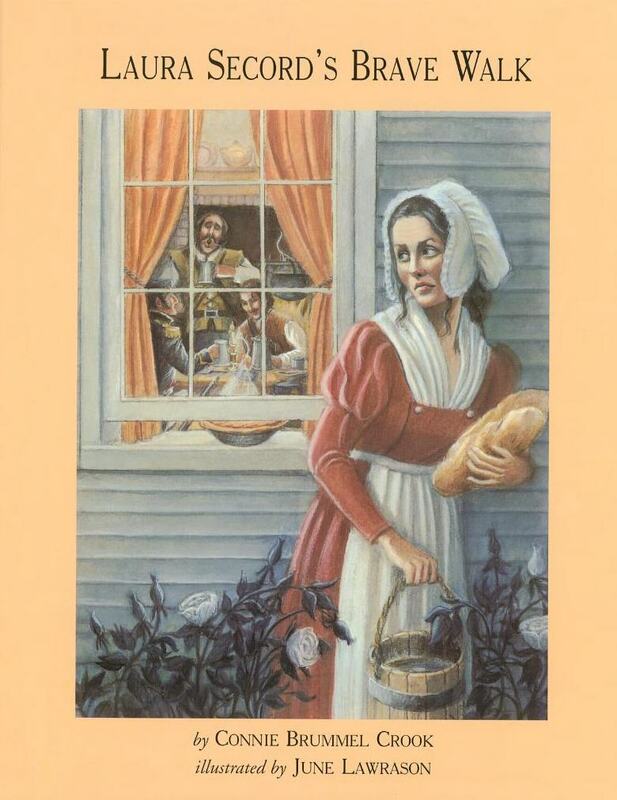 By those standards, Laura Secord was an unlikely hero. She was gentle, a little shy, and soft-spoken. Yet without her courage, Canada would likely not exist today. During the War of 1812, the beloved General Isaac Brock lost his life and Toronto (York) was burnt to the ground. Most of the strategic Niagara Peninsula had been captured and was in enemy hands. Only one small section remained under Canadian control: Beaver Dam where Lieutenant James FitzGibbons was bravely hanging on. Laura’s only chance of avoiding the military patrols was to go through the Great Black Swamp where she faced the three-fold dangers of rattlesnakes, wild cats, and quicksand. For nearly twenty miles, she fought her way through overwhelming obstacles. When she finally reached Beaver Dam, Lieutenant FitzGibbons listened carefully to her warning. With only fifty soldiers and two hundred First Nation warriors, FitzGibbons was able to convince five hundred enemy soldiers to surrender. 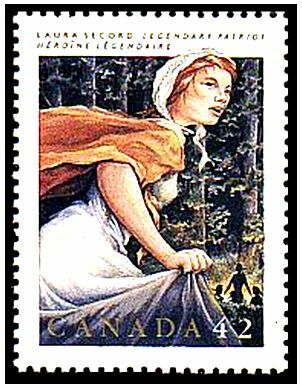 Laura Secord’s bravery gave Canada time to rearm, and defend its borders. Categories: Uncategorized | Tags: Anglican Coalition in Canada, Battle for the Soul of Canada, Beaver Dam, Canadian civilization, Concise Oxford Dictionary, Connie Brummel Crook, courage, Cyrenius Chapin, delicious chocolates, fatih, First Nations, General Isaac Brock, God will take care of me, gods, Great Black Swamp, Greek heritage, heroes, heroines, James Secord, Laura Secord, Lieutenant James FitzGibbons, Niagara Peninsula, quicksand, rattlesnakes, Rev Ed Hird, St. Simon's Church North Vancouver, Toronto, War of 1812, wild cats, Write! Canada Conference, York | Permalink. On April 12, 2005, I was feeling rather fragile in the midst of helping others work through all the trauma and loss around our congregation’s pending eviction. While I was working out at our local Parkgate Gym, Bonnie Chatwin a very gifted Pastoral Counsellor phoned me by cell phone. She cautioned me against falling into the ‘bait of Satan’ , that of taking offense, resulting in unforgiveness and bitterness. And she poured into me excerpts from Paul’s epistles to Timothy: words that were to become the skeleton of my award-winning book “Battle for the Soul of Canada”. 2 Timothy 3:5 Have nothing to do with them. 2 Timothy 3:10 Everyone who wants to live a godly life in Christ Jesus will be persecuted. Out of that prophetic encounter, I became convinced once again that Christian values lie at the very foundation of our nation, that the key to renewing the soul of Canada- the heart of my new book- is to be found in raising up Timothys, raising up the emerging generation of leaders. How the local city church treated Timothy determined how healthy they would be in their future. Timothy, being naturally shy, could easily be put off by inhospitality. Paul, as his mentor and spiritual father, fought for his acceptance: “If Timothy comes, see to it that he has nothing to fear while he is with you, for he is carrying on the work of the Lord, just as I am. No one, then, should refuse to accept him. Send him on his way in peace so that he may return to me. I am expecting him along with the brothers.” (1st Corinthians 16:10). During our 31 years at St. Simon’s North Vancouver (1987 to2018), we were privileged to mentor and raise up three Timothys for the Anglican priesthood (The Revs. Peter Falk, Ken Bell, and Josh Wilton). It takes time to raise up Timothys. Mushrooms grow overnight; Oak trees take longer. Sometimes the Canadian Church has looked to committees to rescue Canada from its malaise. 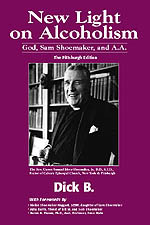 The Rev Sam Shoemaker commented, “Committees do not beget spiritual movements, any more than they beget babies. Inspired men beget them.” As one wag put it, God so loved the world that He didn’t send a committee! 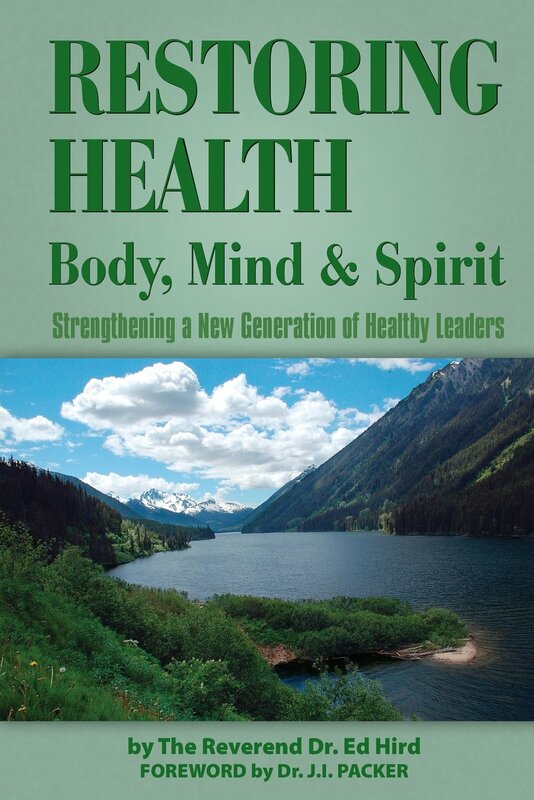 My vision in the book ‘Battle for the Soul of Canada is to raise up and send Timothys all across our nation, and ultimately around the world for the healing of the nations. 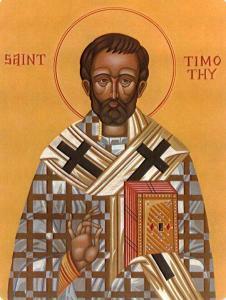 Paul said that he hoped to send Timothy soon. That is our passion and calling. That is the hope of our nation, to raise up Timothys to turn our nation back to God. Categories: Uncategorized | Tags: 2 Chronicles 7:14, Anglican Mission in the Americas (Canada), ashamed, authority, bait of Satan, Battle for the Soul of Canada, bitterness, Bonnie Chatwin, Canadian Church, change a nation, Christ, committed, counsellor, courage, crown of glory, crown of thorns, emerging generation of leaders, Emperor Nero, endure hardship, enduring, eviction, fragile, genuine, getting through, grace, gratitude, Guard the Deposit, helplessness, humility, loss, mentor, mushrooms, not ashamed, not quarrel, not rebelling, Oak trees, one with Christ, oppressors, Parkgate Gym, passionate, Pastoral Counsellor, post-traumatic stress, prophetic commissioning, raised up, Rev Sam Shoemaker, seek first God's Kingdom, self-centered, servant leadership, sold out for God, sound doctrine, spiritual father, standing, strength, taking offence, The Holy Spirit, Timothy, trauma, unforgiveness, visionary, workman | Permalink.